The WP Security Audit Log plugin is the most widely used and comprehensive WordPress activity logs plugin. 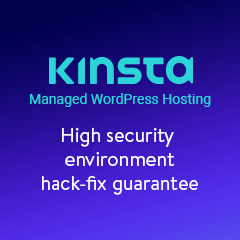 It is installed on thousands of WordPress websites and multisite networks and used by world renowned businesses such as Disney, Nginx and Bosch. Download the free WordPress activity log plugin from the official WordPress plugins repository. The Password policy Manager is a WordPress plugin that allows you to setup policies and enforce strong WordPress password security. 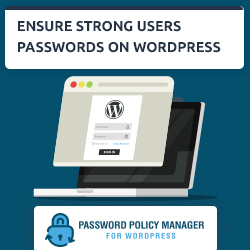 By setting up policies you ensure your all your users use strong passwords and do not put your WordPress site at risk. Refer to the Password Policy Manager for WordPress plugin page for more detailed information on the plugin’s features. 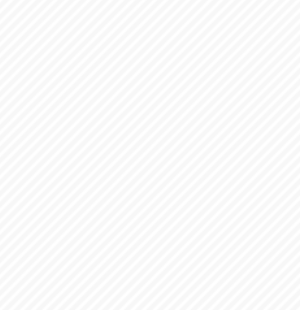 The WP Security Bloggers is a WordPress security news and updates aggregate. The list is curated and and includes the most popular WordPress security blogs. To keep yourself up to date with what is happening in WordPress you do not have to subscribe to multiple blogs. Simply subscribe to the daily or weekly WordPress security updates roundup newsletter from WP Security Bloggers or follow them on Facebook or Twitter. If you have any questions about what we can do for you, contact us or find us on Twitter, Facebook and LinkedIn.